This is a part of the Tessa Series about cooking. 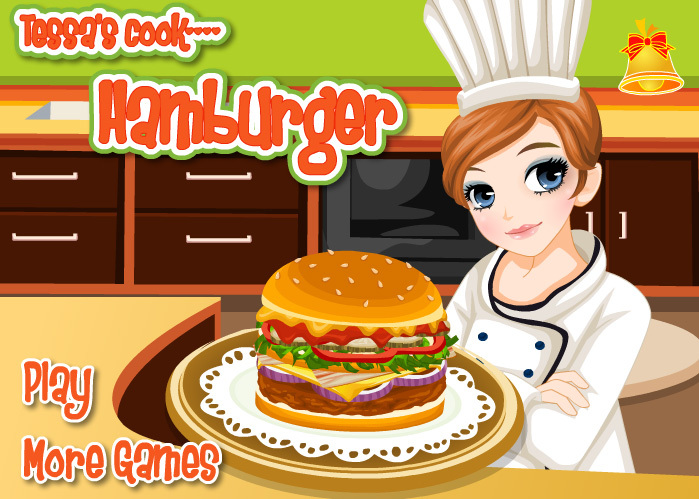 In this game you learn how to make a hamburger. Learn what ingredients you need and how to prepare them. See how to cut your ingredients and for how long you have to cook your dish or how long you have to put it in the oven. You also get the recipe of this hamburger to print it and prepare it at home, in your own kitchen.